We interrupt this mini-series of posts from The Editorial Department to discuss a time sensitive matter: taxes. I can hear your whoops of joy and elation. Everyone loves to talk about federal taxes, right? 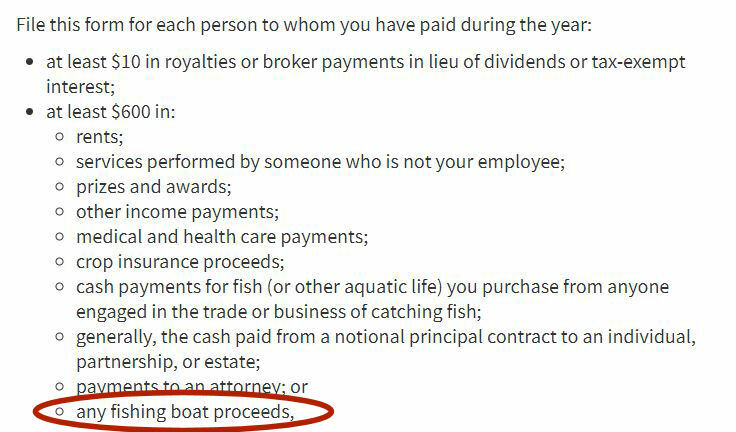 Don’t forget to document your fishing boat proceeds. What!?!?!?! 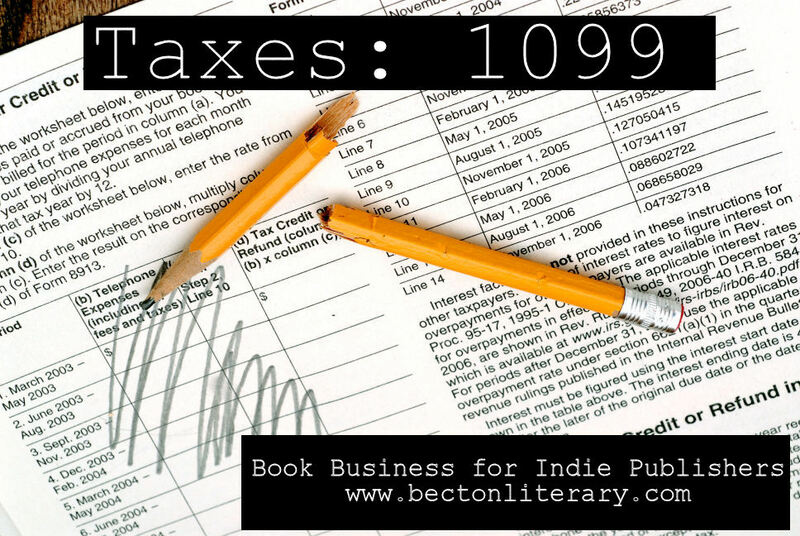 When you, as an indie publisher, file a 1099, you are essentially informing the government that a portion of your company’s income is actually someone else’s income. Because it is not ultimately your money, you are not required to pay taxes on it. Your contractor is responsible for paying the taxes on their income. A 1099 ensures that the right person (the actual money earner) pays the right taxes. The key number is $600. If you paid a contractor more than $600 over the course of one calendar year, then you must (as in, you are required by law to) send her a 1099. 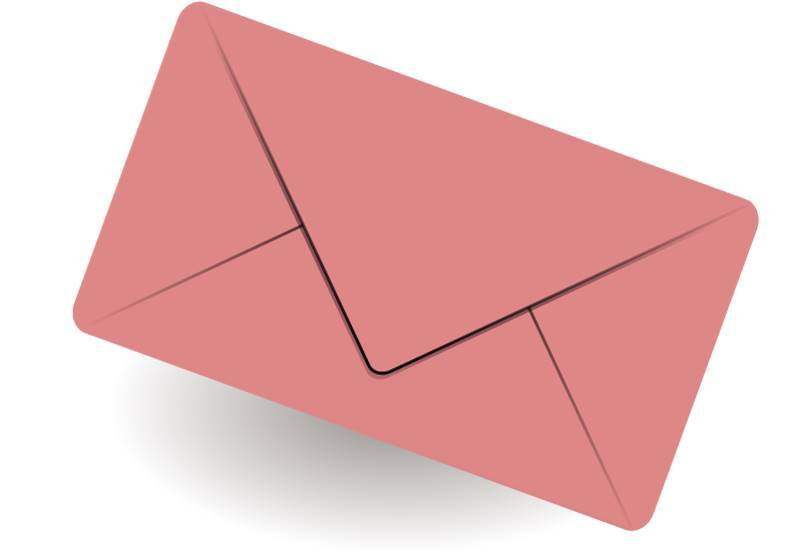 Aside from not breaking the law, there are other practical advantages to sending a 1099. A 1099 officially documents your expenditure as a business expense. You are not required to pay taxes on income that is used to pay business expenses. That’s why record-keeping is so important. Save your business receipts! Again, if you hired a contractor, but paid them less than $600, you are not required by law to send a 1099. You can still claim the expenditure as a business expense, but you are responsible for keeping a record of it yourself. So keep good records. (Did I already mention that?) You are required by law to report all your income whether you earn $5 or $5 million. The deadline for filing a 1099 is January 31. To access the form, take a fun-filled trip to the IRS website. $600 is the number to remember. If you paid $600 or more in one calendar year to one person/company in business expenses, then the law requires you to send them a 1099. If you paid them $599.99 or less in a single year, you do not have to send a 1099.